Tanya enrolled in the SNAP Work Ready program in June 2016, shortly after graduating from high school. Tanya applied for food stamps, and this allowed her to enroll in the program at Center for Community Action’s Blair Office. Tanya did not know how to begin looking for employment, and she believed that because of her anxieties and shyness that she was not cut out for the world of work. With the help of her Career Counselor, John McKelvey, Tanya learned valuable skills about how to interview, how to create a resume, and the importance of interacting with others at work while being a dependable volunteer. Tanya quickly learned that being shy and afraid to interact with others outside of her immediate family was only going to hold her back from applying for employment. Her participation in the volunteer activities through the SNAP WR program helped her to realize just how much she enjoyed working with and interacting with co-workers. Through the program’s job readiness component, Tanya realized that her volunteer experience gave her more confidence to become more independent. When a position became available at her community service site, she quickly applied and received the position. She is now employed 30 hours per week and has taken and passed the test for her learner’s permit. These are all things that Tanya never expected to achieve, and she has said that without the help and guidance of her Career Counselor at Center for Community Action, this would not have been possible. 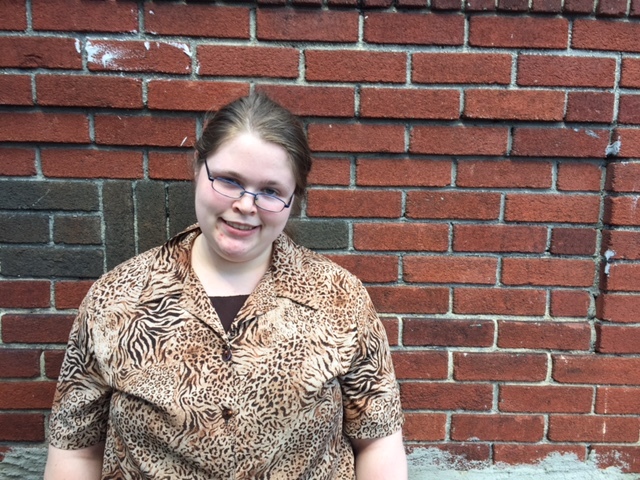 Tanya likes that she can now contribute to her household and can help her mom pay bills. She loves her new-found independence. She started a savings account shortly after receiving her first paycheck, and she is saving to buy a car once she obtains her license.